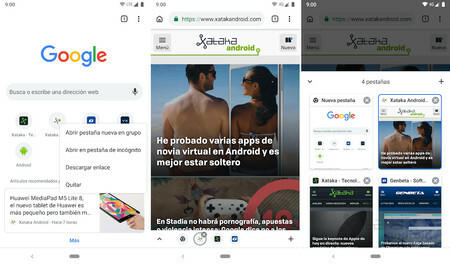 a few weeks Ago it was discovered that Chrome for Android was testing a new bottom bar that showed each of the open tabs. Well, that novelty is called Tab Groups and you can already test it on your Android. through the current development version of Chrome Canary now we can activate the new Tab Groups, a new feature that allows us to open the tabs in group within the same tab. We’ll let you how to turn it on and operate these new tabs. We have installed on our device Chrome Canary, the version is experimental and unstable browser Google. In your version 75 allows us to enable the new Tab Groups. To do this we have to go to the address bar and enter in the URL Chrome://flags. There we will have to activate the experimental feature Tab Groups, and restart the browser once playing in Relaunch Now for the changes to take effect. 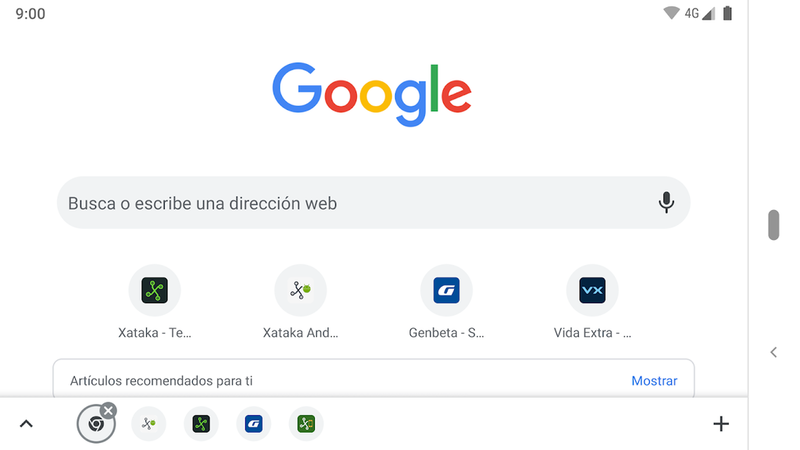 Now on the start screen of Chrome we can open the bookmarks main on new tab group playing this new option when you perform a long press on its icon. From now on, only you can have access to this novelty from this section. once open a web page in a tab in the group we can open any web site by tapping the “+” icon that appears in the new bottom bar of tabs open. 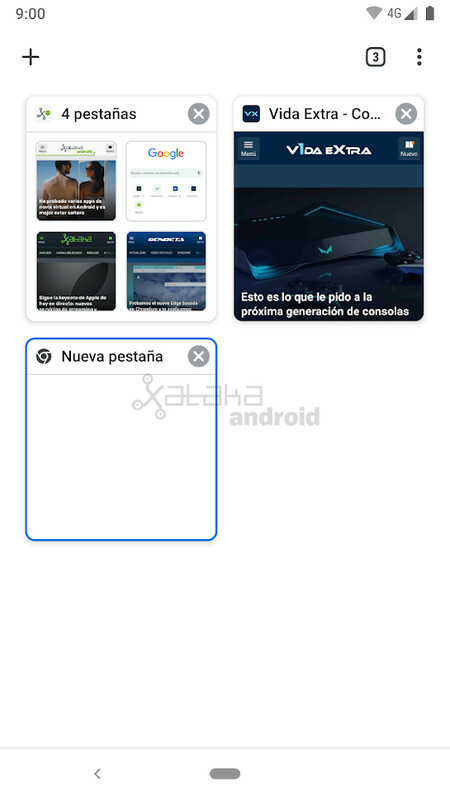 All open tabs in a group will appear on the new bottom bar. With this innovation, we can have open several tabs in a single tab group, and then lashes normal. So we can have more organized our open tabs and it will be easier to switch between open tabs in a group to always see the icon of the websites opened at the bottom. This novelty is expected to come to all the world in the coming months, when the stable version of Chrome is at least version 75. It is currently up-to-date in the version 72. The news So you can test the new tabs group of Chrome Canary for Android was originally published in by Cosmos .